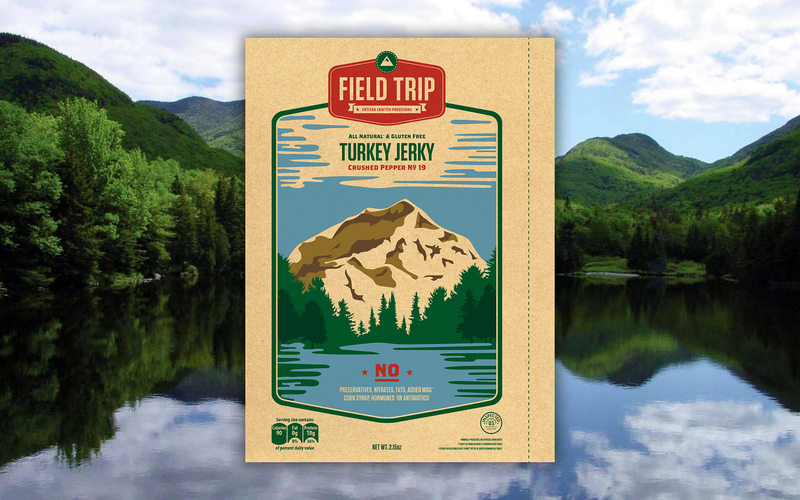 Field Trip is a company that makes natural, gluten-free, chemical-free beef and turkey jerky from the best ingredients available. 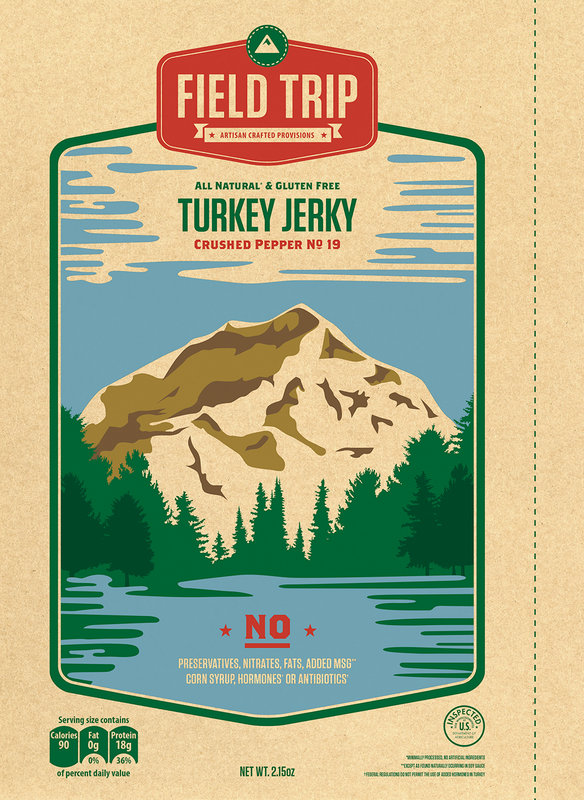 I was asked to redesign their packaging, and instantly pictured imagery of mountains, hiking, camping and trails. I chose to emulate vintage U.S. National Parks posters in order to communicate both a sense of the outdoors and an "old-school" commitment to craftsmanship and quality product.